Non-executive founder and partner of shared-CMO. Former Vice President Marketing & e-commerce Majid Al Futtaim Retail – Carrefour. Franck Boissinot is currently creating a marketing platform for SMEs and start-ups, shared-CMO. With 7 partners, each of them being a former Chief Marketing officer with more than 15 years of experience in marketing, they will be weekly operational marketing advisors, and will bring an efficient support to the mid-market companies, for an affordable cost. Till February 2018, he worked in different positions in retail for the past 18 years and was the Vice President of Marketing & e-commerce for Carrefour UAE. In his former role, he was responsible of the development and execution of Carrefour’s marketing and digital strategy. Two of his major achievements were the launch of Carrefour’s e-commerce in 2011 and loyalty program in 2013. Another main responsibility was to ensure that Carrefour’s digital and social communications activities were effectively aligned with the omni-channel marketing directions. In addition to loyalty, advertising and customer insights, Mr. Boissinot also managed the customer care and services department. Before joining Majid Al Futtaim Retail in 2006, he held various positions as sourcing, Sales Development and Pricing Manager at Carrefour Turkey and Hyperstar Iran. 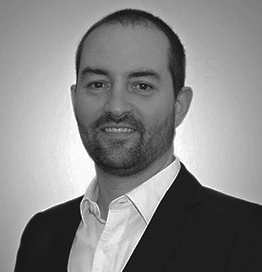 Mr. Boissinot holds a master’s Degree in business, Retail Management, and Marketing; and a bachelor’s in economics & Business Operations, both from the University of Rennes in France.